Eurocities is the network of major European cities founded in 1986. It provides a platform for its member cities to share knowledge and ideas, to exchange experiences, to analyse common problems and develop innovative solutions, through a wide range of forums, working groups, projects, activities and events. Inclusion, accessibility and open data are some of the main focus of the working groups. Thematic forums and working groups – open only to Eurocities members – contribute to creating a network between local authorities and by offering an important aid to the development and implementation of European policies, legislation and programs. 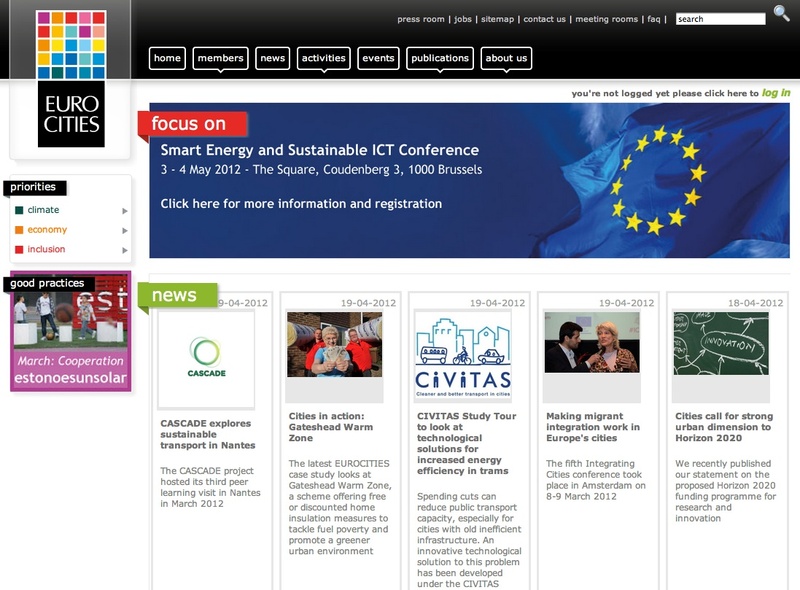 The website is supported by 140 local authorities across 30 European countries and some business partners. The website offers a large amount of basic information. Position papers and research reports - sometimes in French too – are available in full-text. Rich and updated information about Eurocities research projects and European cities -activities are provided. Working papers, speeches and proceedings are retrievable for free as well as annual benchmark surveys and publications. All the documents are freely accessible in full-text in their original format.